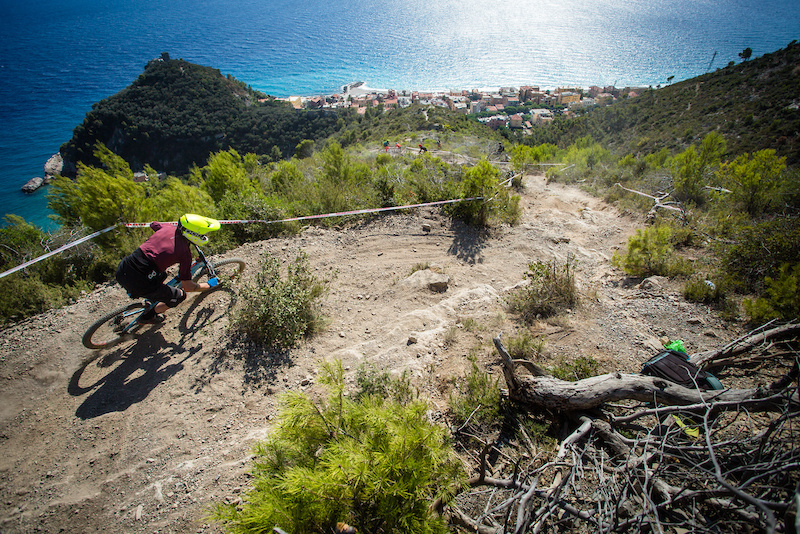 Finale Ligure, the most iconic venue on the Enduro World Series circuit once again hosted the finals of this year's series. 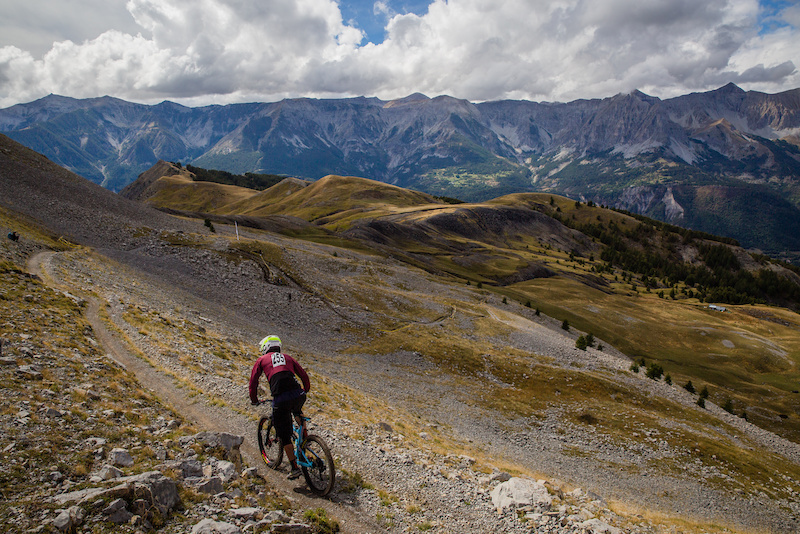 The venue is always one of the rider’s favorites, since everyone loves the Italian dolce vita lifestyle as much as the world-class MTB trails. 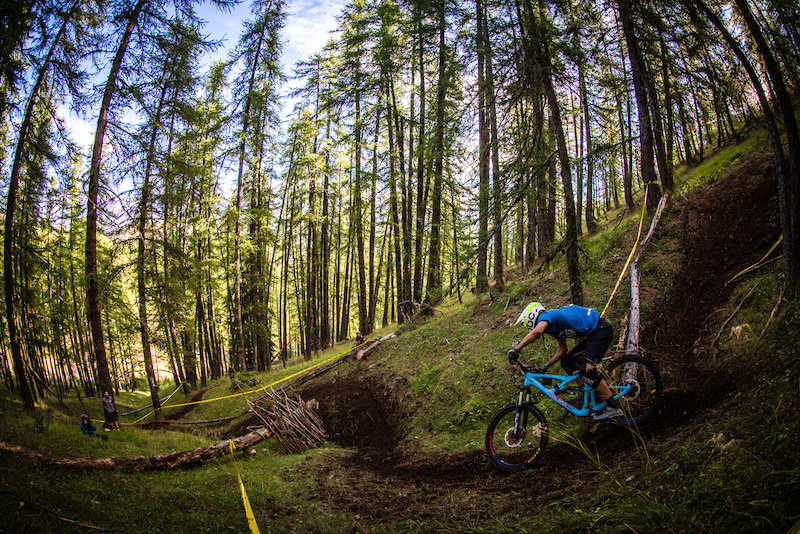 For this year's race the local organizers surprised everyone with a variety of brand new and established trails. For day one of racing the riders had to face a 50km loop with over 1700 meters of climbing to access the three stages in the Calice area. Eventually when the riders reached the stages there was not much more to pedal. 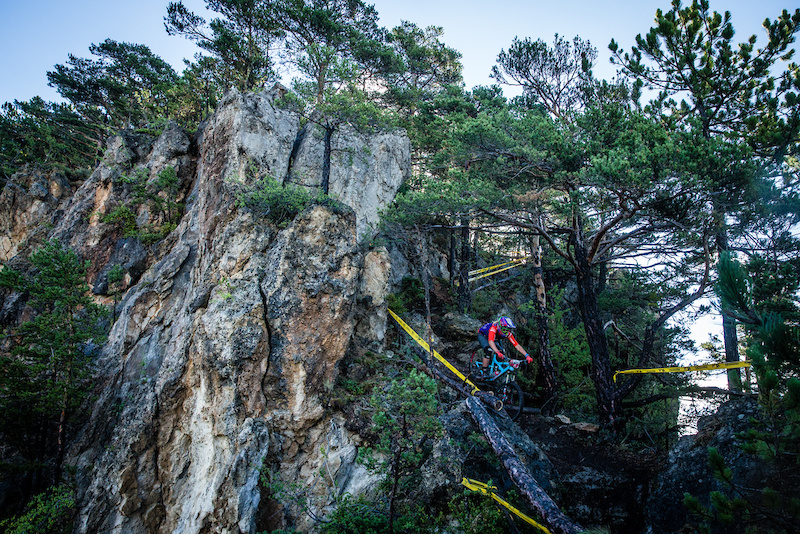 The first two stages were a true test of downhill skills with loose soil and gnarly rock sections, and then on the third stage the riders had to ride smart to maintain speed around the numerous flat corners and rocks. 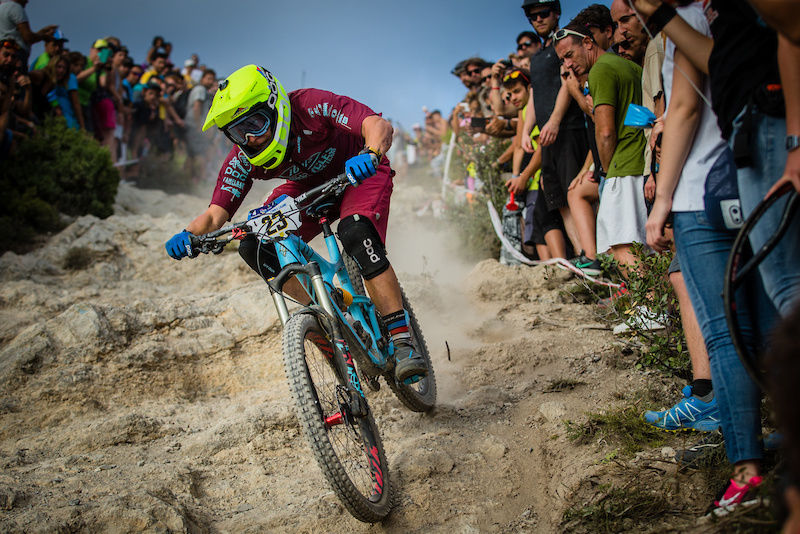 The Ibis Cycles Enduro racers chose to head straight to Finale Ligure after the penultimate round of EWS in Valberg to get a much-needed recovery week under the warm sun of the Mediterranean. Everyone was suffering a bit after the long season and the beach holiday seemed to do the trick to recharge batteries since everyone felt strong going into the first day of racing. 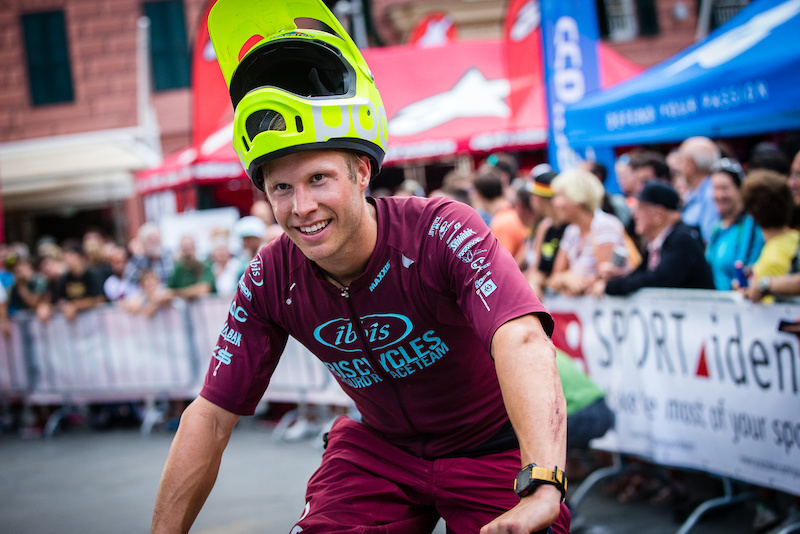 Gary Forrest had a hard time this weekend with very bad cramps already on the long way up to the first stage due to a training incident prior to the race. Unfortunately, he had to retire his race after having raced the first stage with a lot of pain. The flying Swede, Robin Wallner came into this race with high expectations. He badly wanted to score another top 10 result before the off-season. The luck wasn’t going to be on his side this weekend and after a few hard crashes in practice and the race Robin was just happy to make it through the weekend and jump in the sea to wash off the disappointment. 24th was not quite the result he was hoping for. Nevertheless an amazing season for him that he finished on with a very good 14th overall ranking. 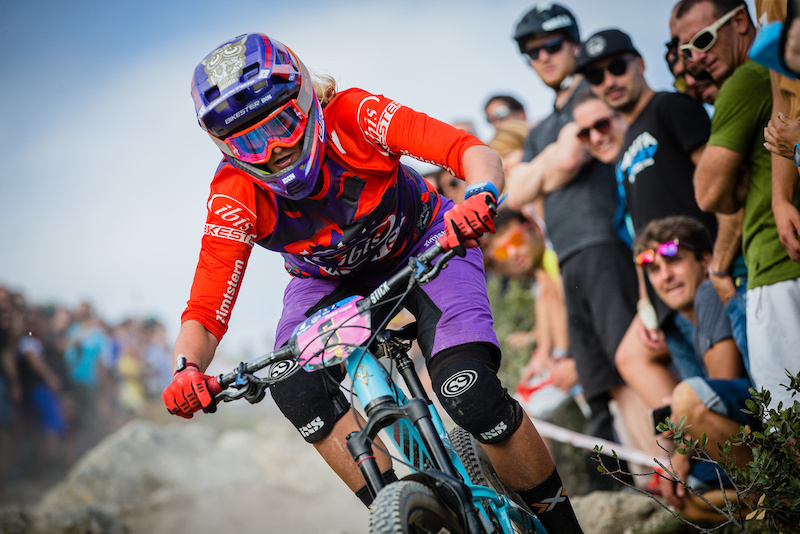 The twins, Anita and Caro Gehrig, had a solid day of racing on Saturday but really showed off on Sunday where they absolutely killed it, leapfrogging through the field. Anita wrapped her season up with another podium placing, taking 3rd, with Caro followed her hot on the heels with a career-best 4th, only 15 seconds behind her sister. Those results were good enough for the twins to secure their overall series rankings as 3rd and 5th. 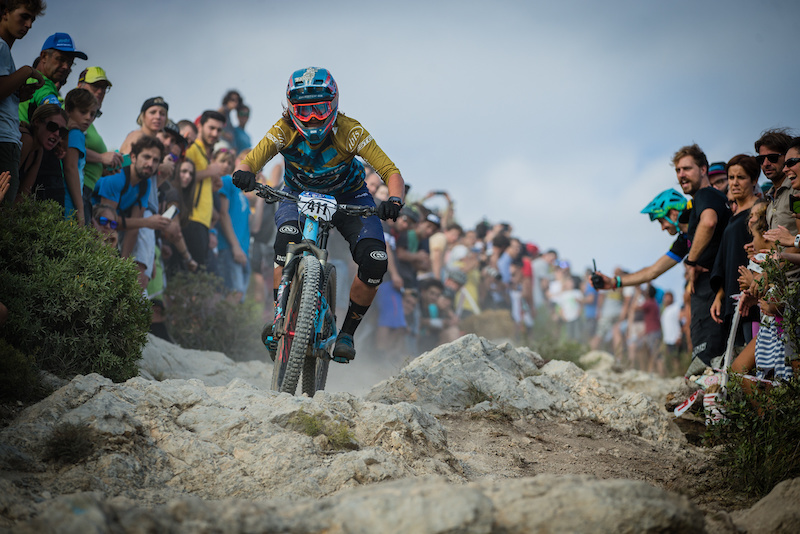 Besides celebrating her 3rd overall podium, Anita was also among only 7 riders that participated at every single of the 30 rounds of the EWS since its beginning in 2013. 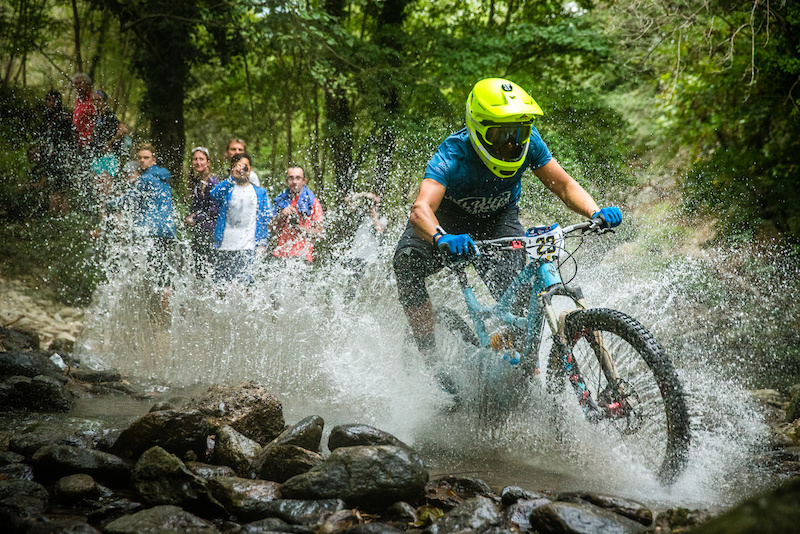 Our Chilean junior, Pedro Burns, seemed to love the loose terrain that reminded him of the riding at home and he showed a strong performance especially on the first day of racing with top three stage results. 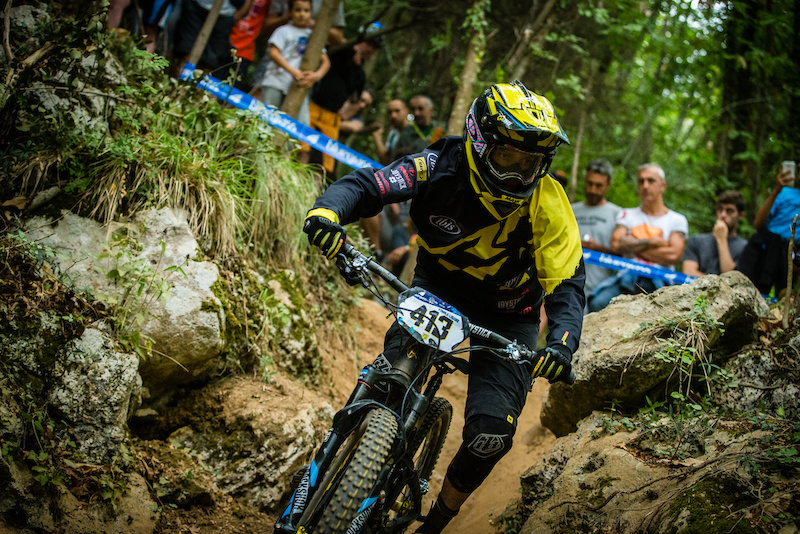 Pedro finished his season with a 9th place in Finale and a fabulous 3rd place in the overall. 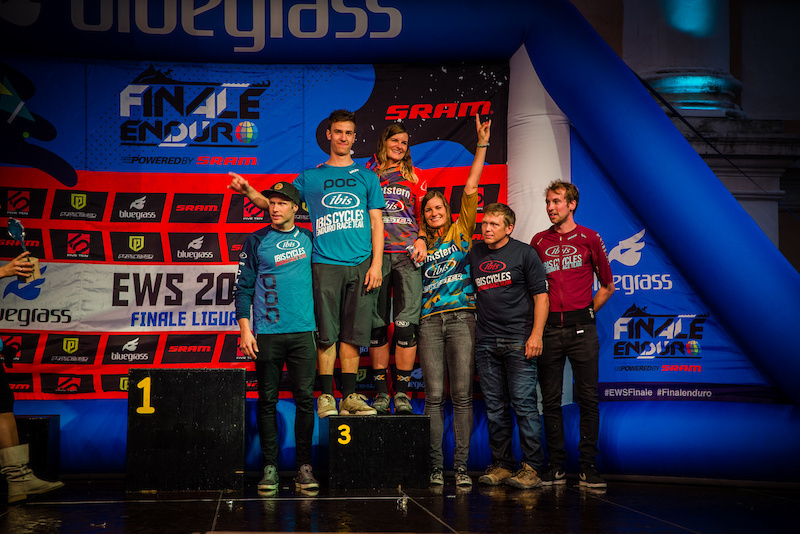 Thanks to consistent performances throughout all the eight rounds of the EWS this year the team was rewarded with an amazing 2nd place in the overall team rankings - a huge achievement for such a small team! We want to thank all our sponsors and our mechanics that kept our wheels spinning through the whole season! 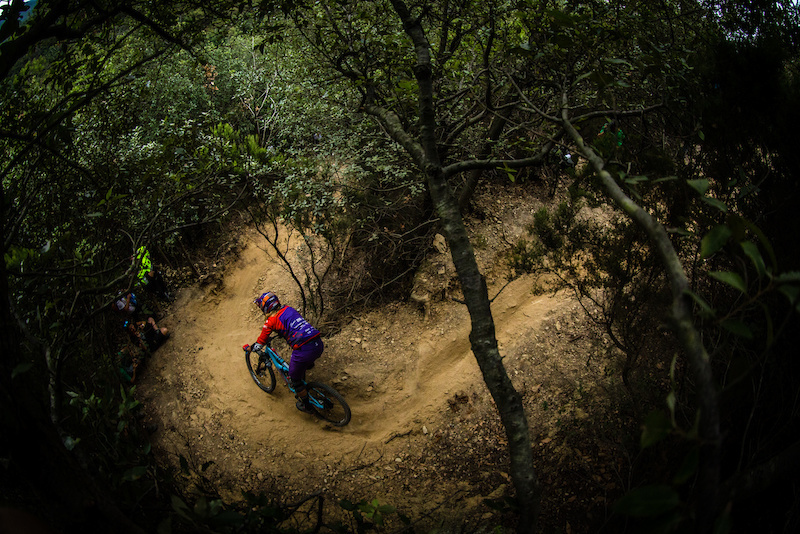 Finale Ligure was again the perfect season ending venue and the organizers and trail builders did an incredible job with this year's special stages, Grazie Mille! 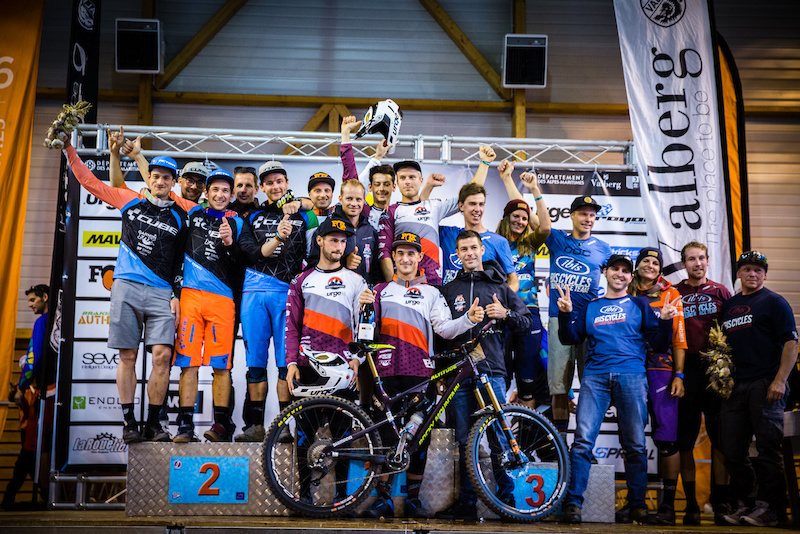 It seems like a while ago since the last race in the Enduro world series so it is fair to say that everyone was excited to get back between the tape and go racing again. 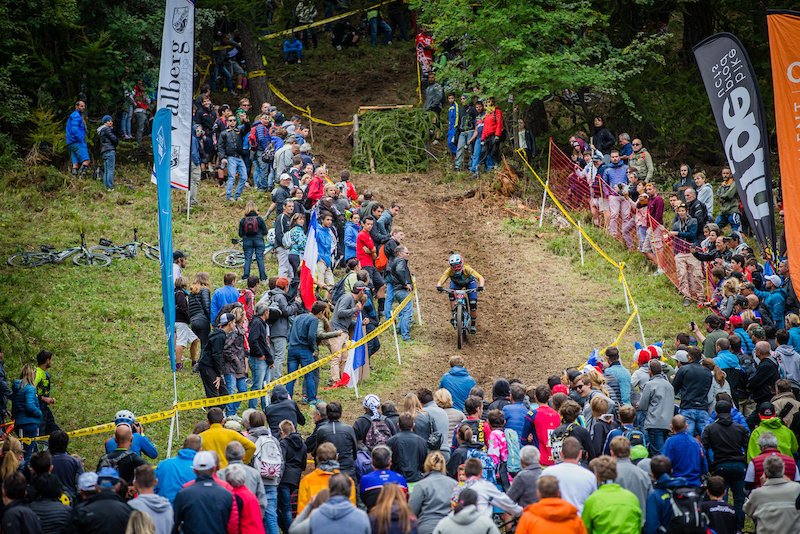 Valberg, the venue for round 7 is situated in the southern alps just an hour and a half drive up the valley from Nice, France. Even after the big liaison up to stage three, where everyone was greeted with amazing views at the top and a great 15-minute trail to the bottom of the valley, everyone quickly forgot about the climb up. 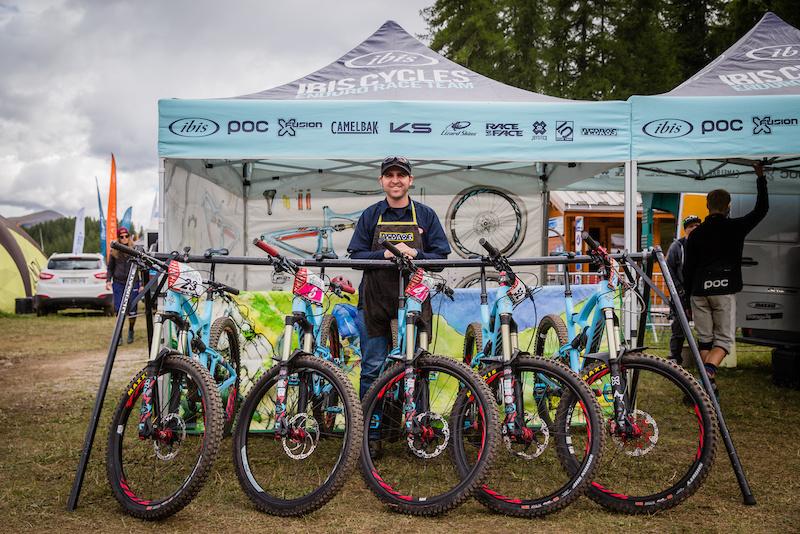 After the first day of practice, all of the riders came back with big smiles on their faces after realizing what amazing trails they were going to be racing on. Even after the big liaison up to stage three, where everyone was greeted with amazing views at the top and a great 15-minute trail to the bottom of the valley, everyone quickly forgot about the climb up. For the last day of practice, the clouds came rolling in with some heavy rain making the trails very tricky, much to Gary and Robin's delight. 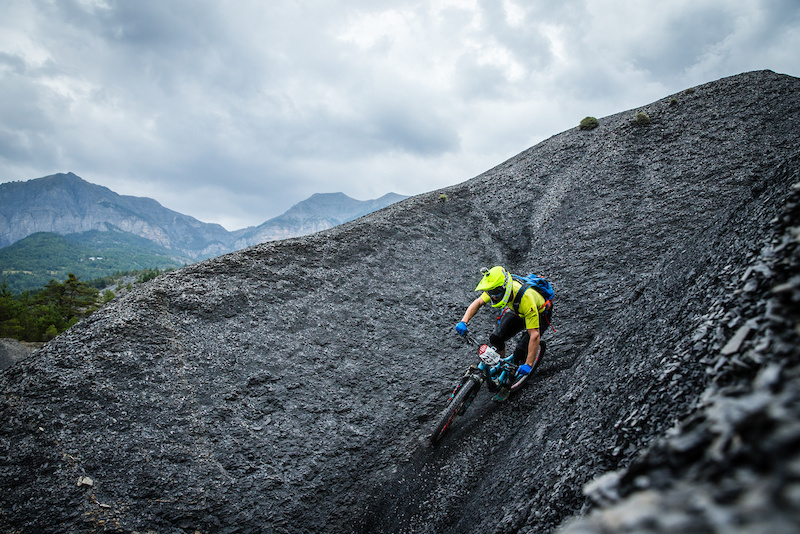 But due to the bad weather, the race organizers decided to cancel the prolog and removed stage two from the race. This was a really good move as riders would have quickly gotten cold and struggled to even finish the race if the conditions would have remained as it was on Friday. With practice all wrapped up and a night with no sleep for our mechanics everything was in place for two days of racing. 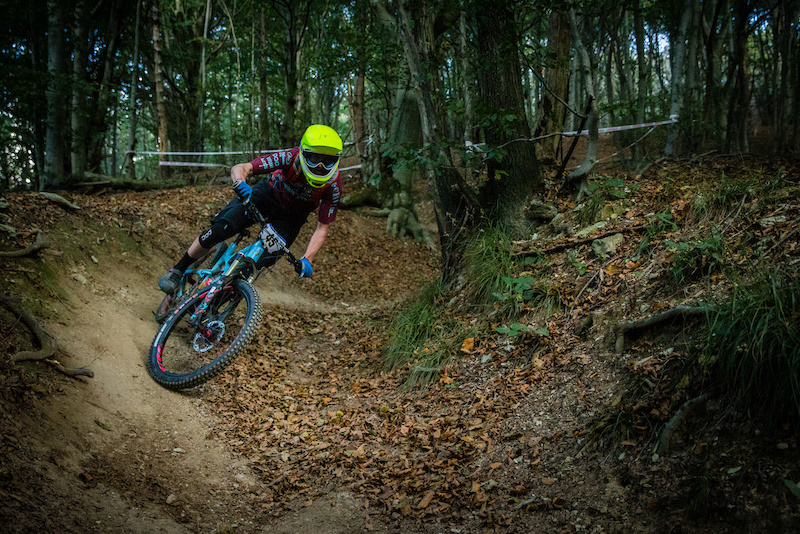 First one on the course was our Chilean U21 rider Pedro Burns ”AKA” Batman who was maybe not feeling completely at home in the slippery European conditions but he managed to pull off an amazing ride to finish 9th overall against all the fast french riders. The result also moved him up a spot in the overall series to 4th overall so he should be happy with his weekend. Next on course for the team was the flying Scotsman Gary Forrest who had been looking really comfortable in the wet conditions during practice. The stages of day one were very long which was maybe more than what Gary's back could handle at race pace but with a good day two, he managed to pull a lot of time back and finished up in a respectable 46th overall. 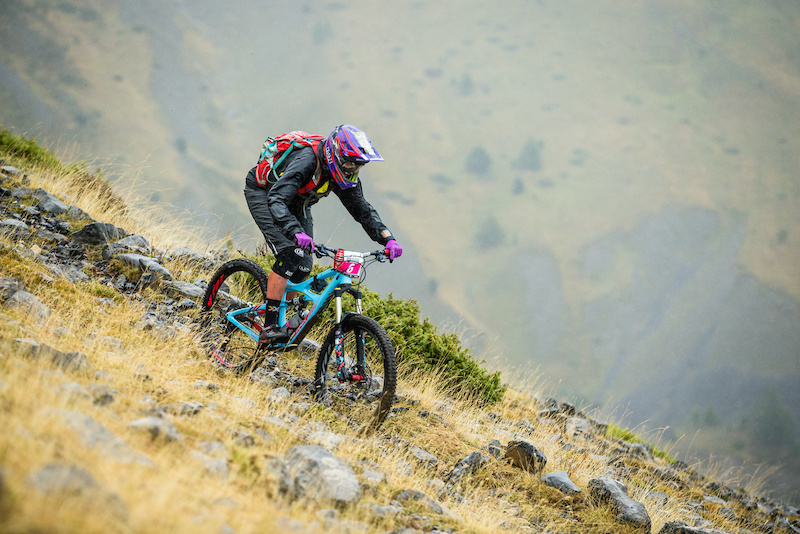 Carolin Gehrig was riding really well with the positive smile she always keeps on her face and was even more pleased with the trails drying out on race day. Struggling a bit to find her rhythm in the race she still pulled off a great 7th place finish and sent the final jumps to please the crowds. 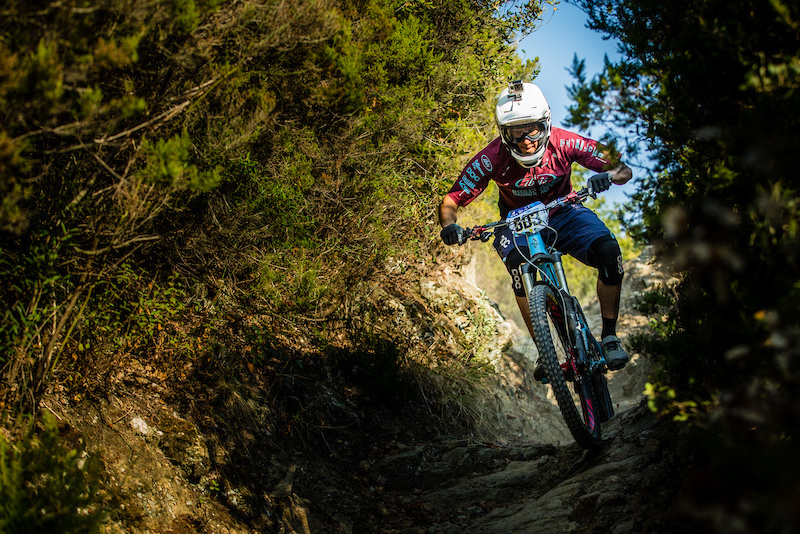 Anita was looking set for another podium after day one of racing but with a costly detour into the bushes early on stage seven she slipped back to fourth only 2 seconds back from the podium but scoring valuable points and keeping her third in the overall series. Robin Wallner was riding really good in practice and on a bit of a high after his performance in Whistler. After day one he stormed into 13th with some top ten stages and was looking good until he had a mechanical on stage 6 which was costly and crashed on the last stage trying to make up time but pulled off a spectacular 17th in the overall in the end and held onto 12th in the series. With another solid weekend where everyone finished in one piece, we also found out that we got another team podium with a 3rd on the weekend which strengthened our 2nd place in the overall team standings. We would like to send a huge thank you to our trusty mechanic for the last two years Jake Law since this was his last round with the team. Good luck in your future ventures and whatever is next Jake we have all appreciated your hard work. Now we are really looking forward to the last round of the year in Finale and ending the season on a high. The trails around Downieville and the Lakes Basin are legendary. And while legendary is good, more legendary is better. We are working on a project that is sure to up the legendary status of this area and we’re asking for your help. For $5, you can buy a foot of trail. 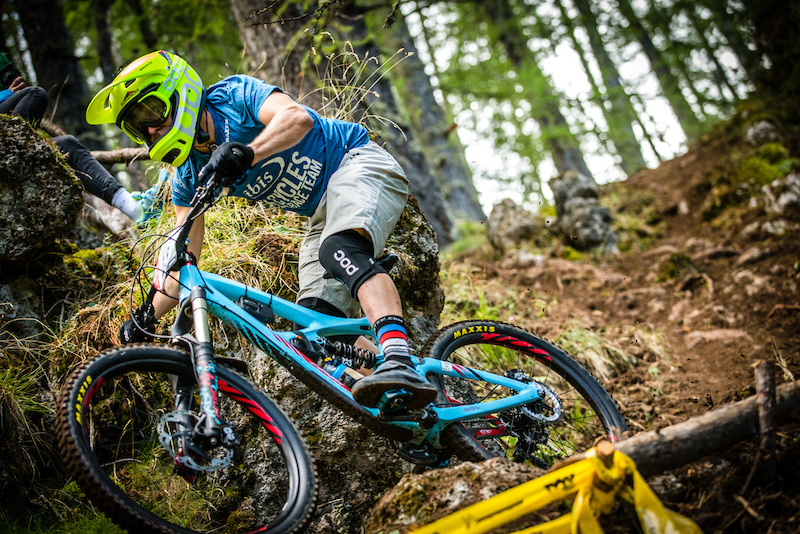 By buying a foot, two feet, ten feet or a mile of trail, you’ll get a chance at winning the most fully pimped out Ibis we’ve ever done, ever (details below). At the end of the campaign, we’ll draw a name out of a hat (or maybe a gold mining pan) and pick a winner. The more feet you buy, the more times your name will be in the hat, and the higher the likelihood that you’ll end up going to heaven. OK, I don't need to read more, take me to the donation page NOW! You’re probably wondering why the obsession with gold. The legend of the Lakes Basin began in the early 1850s, when Thomas Robertson Stoddard claimed he stumbled upon a lake whose shores were glimmering with gold nuggets. His alleged story spread like wildfire, and by the following spring, thousands of prospectors searched for this elusive lake of gold. They found the lake, now known as Gold Lake, but the nuggets laying in plain sight never panned out. There were calls for Stoddard's head after discovering his story was bunk, but by then the raconteur and his gold were long gone. We think it’s time to bring some gold back to Lakes Basin, in the form of a properly outfitted Ibis, glistening (tastefully of course) with gold. Ibis has been a long-time partner of the Stewardship, and the funds raised from a previous Ibis 5 Bucks a Foot campaign built Mills Peak Trail. 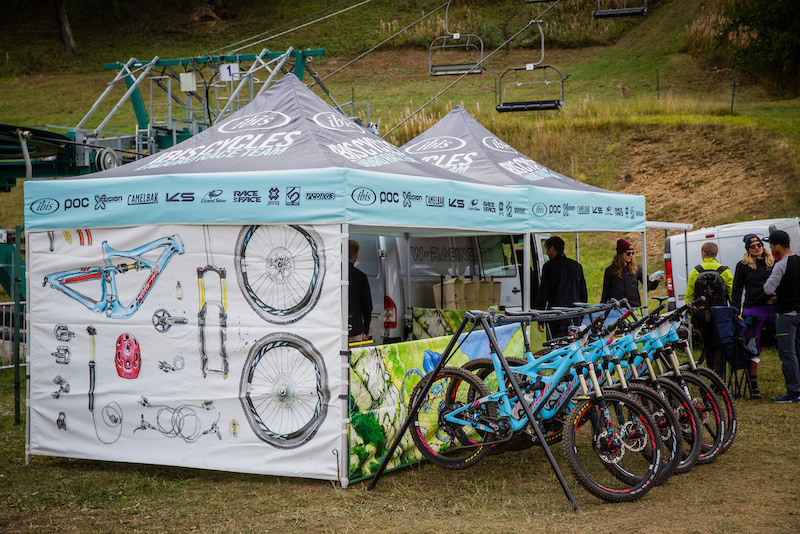 Part of the proceeds from this year's 5 Bucks a Foot will also go to helping fund two new proposed sections of singletrack on Mills Peak that are currently in the planning stages. One section is proposed to connect the top of Mills Peak Trail with the Round Lake Trailhead off Gold Lake Highway, creating five new miles of singletrack. The other section of trail in planning is the much anticipated bypass of the fire road midway down the singletrack descent. This new section of singletrack will be three miles in length. If approved by the U.S. Forest Service, Beckwourth Ranger District, riders will be able to pedal 16 miles of singletrack from Round Lake Trailhead all the way to Graeagle, taking Mills Peak Trail to a whole new level. If there is any place the Stewardship can show off its rock work artistry, it's in the Lakes Basin. In fact, virtually all of the trails in the Lakes Basin have been maintained and improved by the Stewardship, using sustainable rock armoring techniques, rock-lined drainages and elevated rock bridges over marsh areas to ensure that non-motorized recreation has as little impact on habitat as possible. Show your support for one of the most magical regions in all the Sierra Nevada by purchasing as many feet of trail as you can. The payoff is world class recreation while helping employ local residents to keep our mountain communities thriving. And for one lucky winner, a brand new custom Ibis worth $10,000. More info from the Sierra Buttes Trail Stewardship and this $5 a Foot campaign can be found here. For more information on the Sierra Buttes Trail Stewardship, visit sierratrails.org or follow us on Instagram and Facebook.